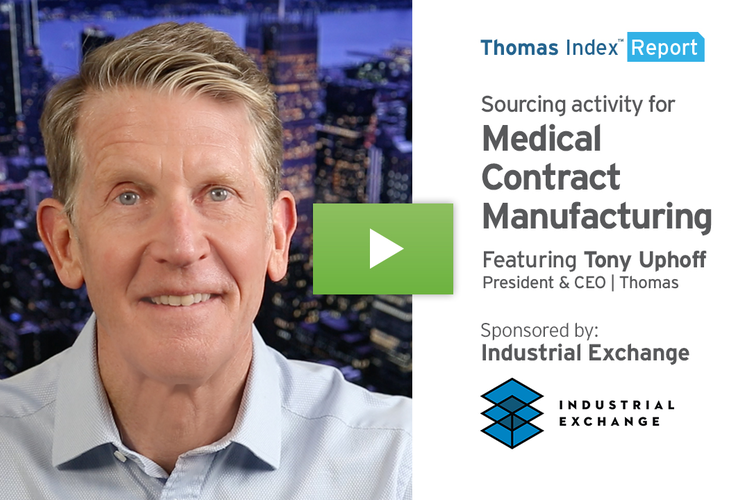 In this week’s Thomas Index, we’re going to take a look at sourcing activity happening in the Thomas Network at Thomasnet.com in categories related to pharmaceuticals. According to a report from Evaluate Group, pharmaceutical sales in 2018 are expected to exceed 800 billion dollars. As the baby boomer generation ages, they expect this number to climb for the foreseeable future. But an aging population is by no means the only factor driving growth in this industry. In 2017, the FDA took steps to expand the generic drug market, including going so far as to publish a list of drugs that have no generic competition. 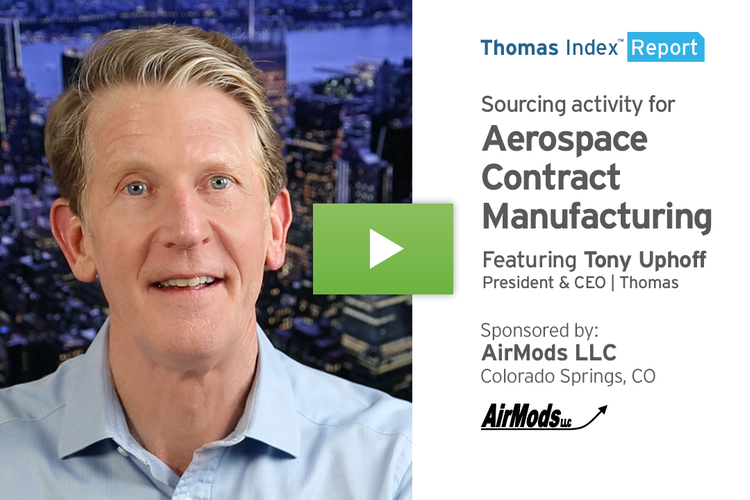 This action is an invitation for new companies to get into the pharmaceutical game, and this could be just one reason we’re seeing increased sourcing for pharma-related products and services at Thomasnet.com. 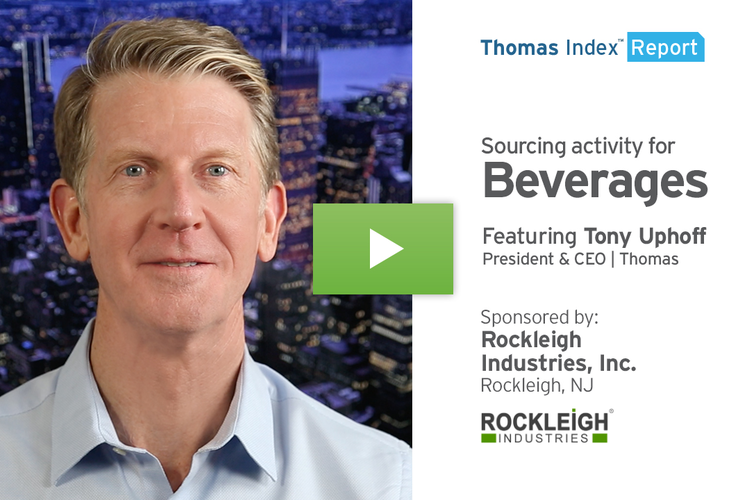 In fact, sourcing activity in the category of Pharmaceuticals is up 60 percent week-over-week and up 154 percent month-over-month at Thomasnet.com. Pharmaceuticals have a significant presence on our platform, with nearly a thousand North American suppliers listed in this category alone. 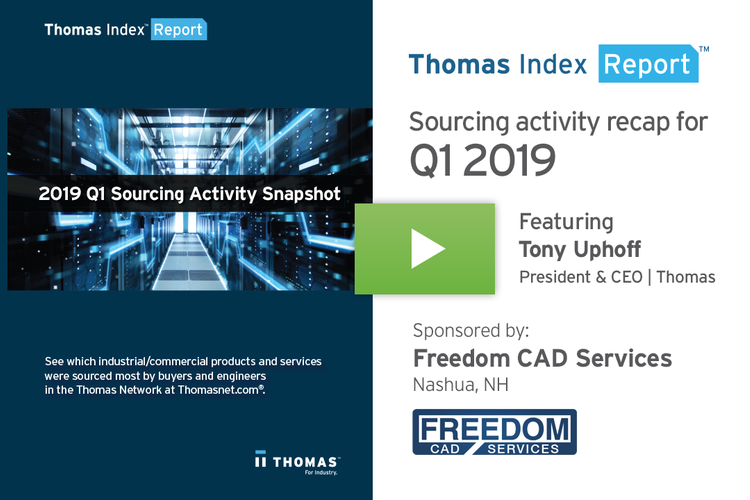 Sourcing activity is also up over the past month in the related categories of Contract Packaging for Pharmaceuticals, Contract Packaging for Over the Counter Pharmaceuticals, and Over the Counter Proprietary Medicines, Drugs and Remedies. According to a report by Global Market Insights, the OTC drugs market is estimated to be more than 178 billion dollars by 2024, so this is a huge and growing category within the overall pharmaceuticals industry – and definitely one to which attention should be paid. Moving on from pharmaceuticals, here’s a quick look at the top ten categories by sourcing volume over the last four weeks on Thomasnet.com. With all of the uncertainty around tariffs lately, it’s no surprise to see steel in the number one position. All of these categories indicate a strong and growing industrial market. 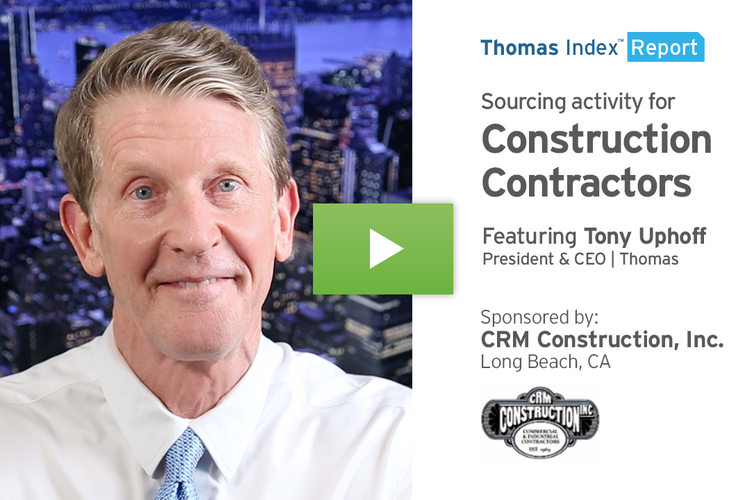 If you’re a supplier in any of these categories, there’s an upward trend in sourcing activity for what you do at Thomasnet.com. Now is the time to get your marketing in line to maximize your share of this growing industry. Well, that’s what our data shows this week. 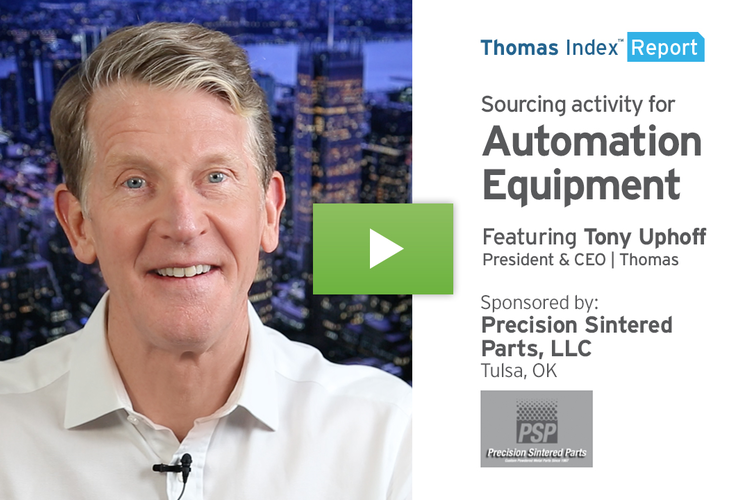 If you’d like to stay in the know with what our Thomas Index shows each week and receive relevant industry news each morning, sign up for our Thomas Industry Update at Thomasnet.com.